While I like to spread awareness about OCD all year long, OCD Awareness Week is a great time to get people’s attention with events and activities. On Monday I’ll be participating in a live chat for the International OCD Foundation, along with Shannon Shy and Jackie Lea Sommers. We’ll be fielding questions about how to come out with OCD–how to tell friends, family, teachers, coworkers, love interests. Join the discussion at 12 EST. 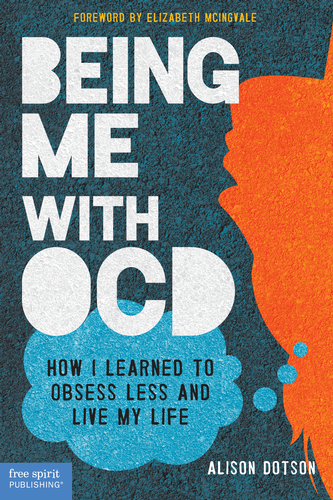 Then–dun dun DUN!–on Tuesday I’ll be reading a few excerpts from Being Me with OCD. In front of a group of people. Some friends, some coworkers, some strangers. I’m not gonna lie–I’m nervous! But to say reading aloud is my biggest fear isn’t quite accurate. I have OCD, after all. So I know I can face the fear and get through it. And once I do, it will be time to celebrate! If you live in the Twin Cities area, I hope you can make it!